Mrs. Gilles was a 1936 graduate of Hudson High School and later graduated from the Fay School of Boston in 1938. She was employed by the Murphy Insurance Agency in Hudson for 18 years. She was a member of the Catholic Daughters in Hudson, the Hudson Emblem Club and Marlborough Hospital Auxiliary. 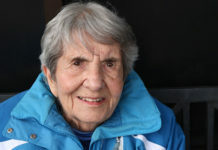 She was a member of Saint Michael&apos;s Parish in Hudson, where she spent many years as a volunteer at the Parish Office. 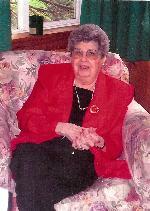 She was an avid fan of the Red Sox, Patriots and Norwich University football. A funeral Mass was celebrated March 19 from Saint Michael&apos;s Church, with burial at Saint Michael&apos;s Cemetery. The Tighe-Hamilton Funeral Home of Hudson assisted with arrangements. Memorial donations may be sent to the Friends of Milford Area Special Athletes, P.O. Box 81, Hopedale, MA 01747.